Contract Basin Tap Reviver Kit 1/2"
Contract Basin Tap Reviver Kit 1/2" (2 Pack) is rated 4.4 out of 5 by 39. Rated 5 out of 5 by Rebel Rob from Does the job, easy fix. Simple repair, took a couple of minutes. Ordered on line and ready to collect by the time I got to the store. Rated 2 out of 5 by Sandy D from Make do and botch Instructions show additional adapters - that we’re not present. But they were necessary for our job. Having drained down the job took far longer as existing workings had to be used, a hybrid had to be created. Tops for taps do not sit well and require further adjustments. I guess you get what you pay for! They do look better than what we had. Rated 2 out of 5 by S Buck from Plastics don't fit correctly and stiff to close Bought to replace existing units. Barrel fits but taps leak without tightening past initial stiffness. Also the plastic blue and red hot caps are not moulded to the right size so don't seat correctly in place. I need several more sets so glad I only bought one set to trial. Will source better ones for other requirements. 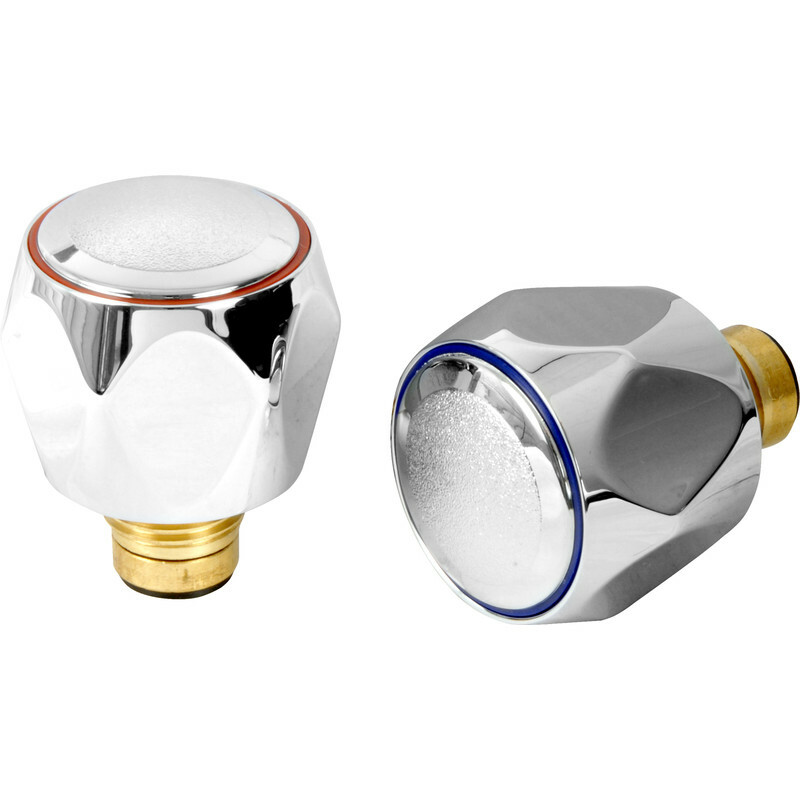 Rated 3 out of 5 by BrianO from Good value but.... Bought these basin tap inserts to replace a contract set of tap knobs that had become corroded and rough to the hands to operate.The new inserts were easy to install and freshen the look of the taps .The downside is they are quite stiff to operate and tend to drip if you don't firmly close them. Rated 5 out of 5 by Jady1to5 from Great value product Just the job, quick fit and good looking.